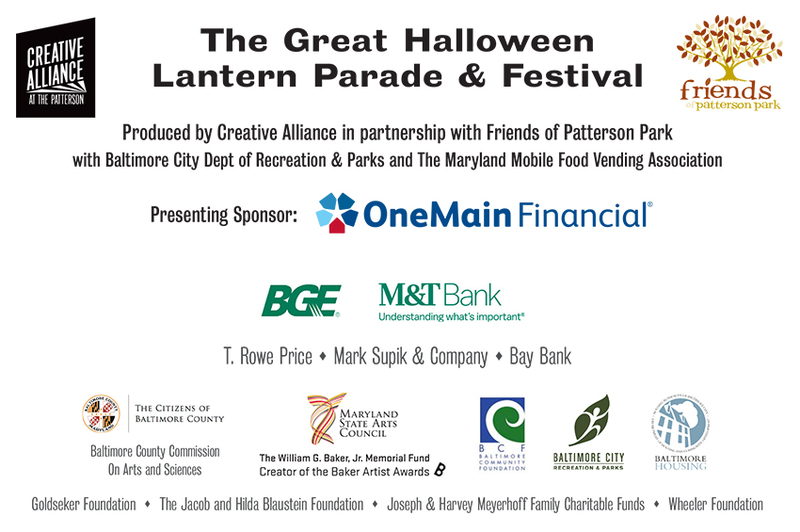 The 16th Great Halloween Lantern Parade & Festival! 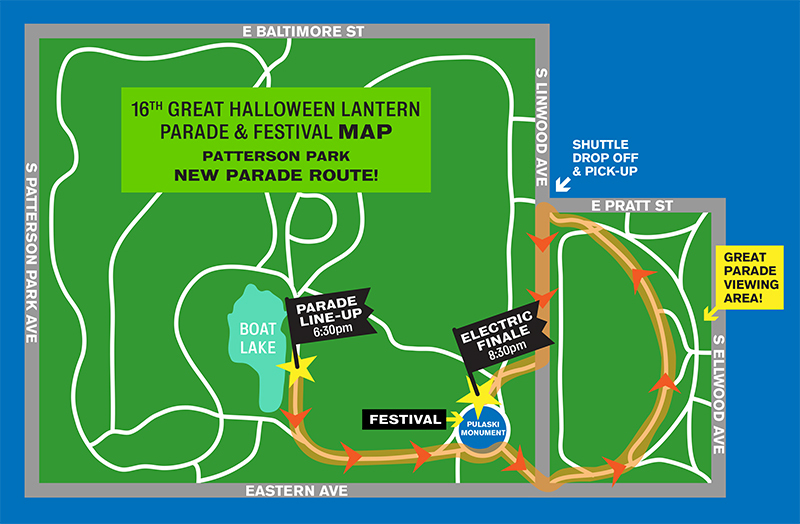 The ELECTRIC Great Halloween Lantern Parade connects science to the arts for this dynamic celebration! 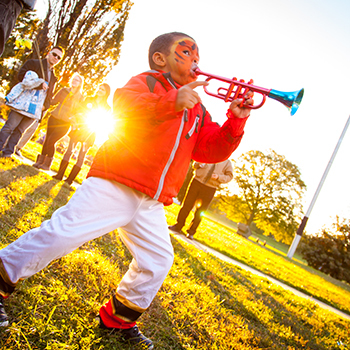 The day starts with the BEST family Halloween Festival EVER. 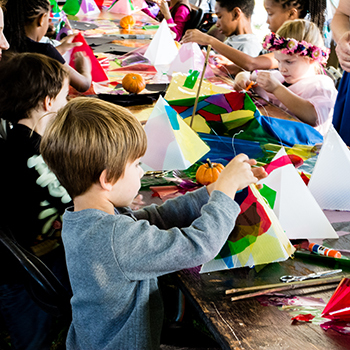 Featuring the adorable and hilarious Kids Halloween Costume Contest, lantern making, hayrides, yoga, and bands! The food trucks arrive in time for the festival and the beer garden is open! 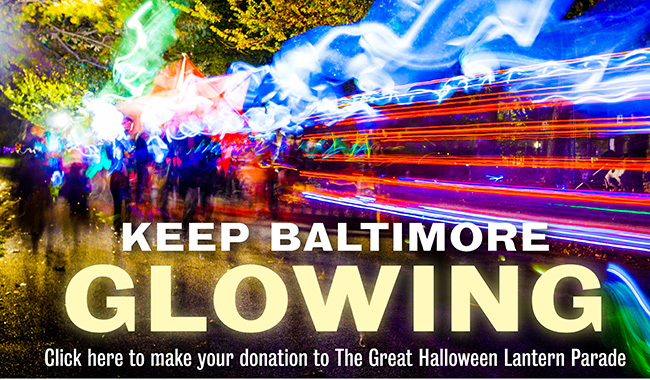 Make a lantern at the Festival to carry in The Great Halloween Lantern Parade that night! $5-10 suggested donation per lantern. 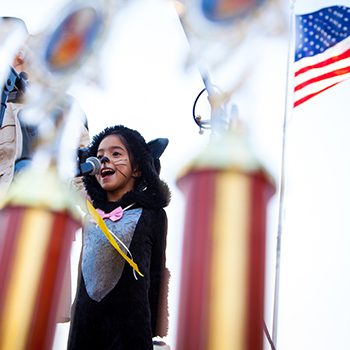 Don't miss our adorable kids costume contest on the main stage! Check in at 3:30pm near the stage. The contest begins at 4pm. Trophies and prizes for the winners! 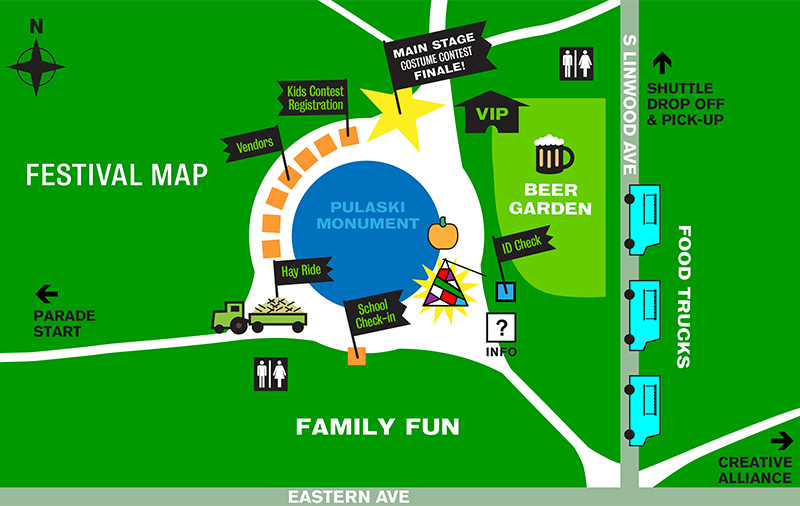 The Parade’s spectacular route starts at the Boat Lake and heads east to the annex of the Park and back to Pulaski Monument. 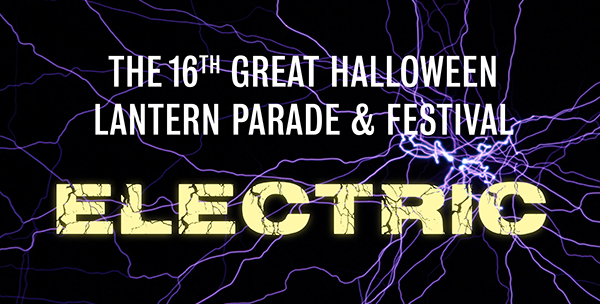 A specially commissioned ELECTRIC FINALE closes out the Parade. 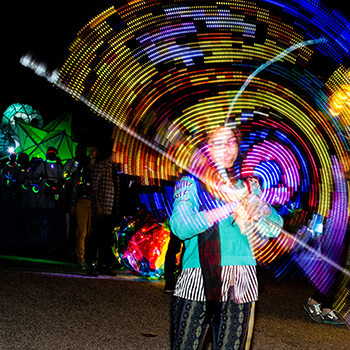 Watch the Lantern Parade Video! PARKING is available in the parking garage on 550 S Eaton St. 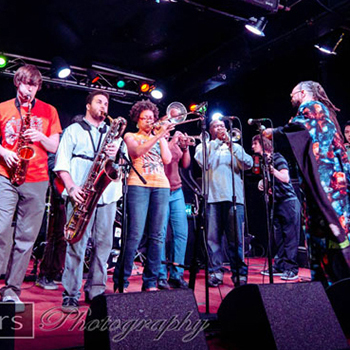 The SHUTTLE from the garage to corner of Pratt St. & Linwood Ave. is available from 4pm-9pm. Shuttle runs every 20 min.